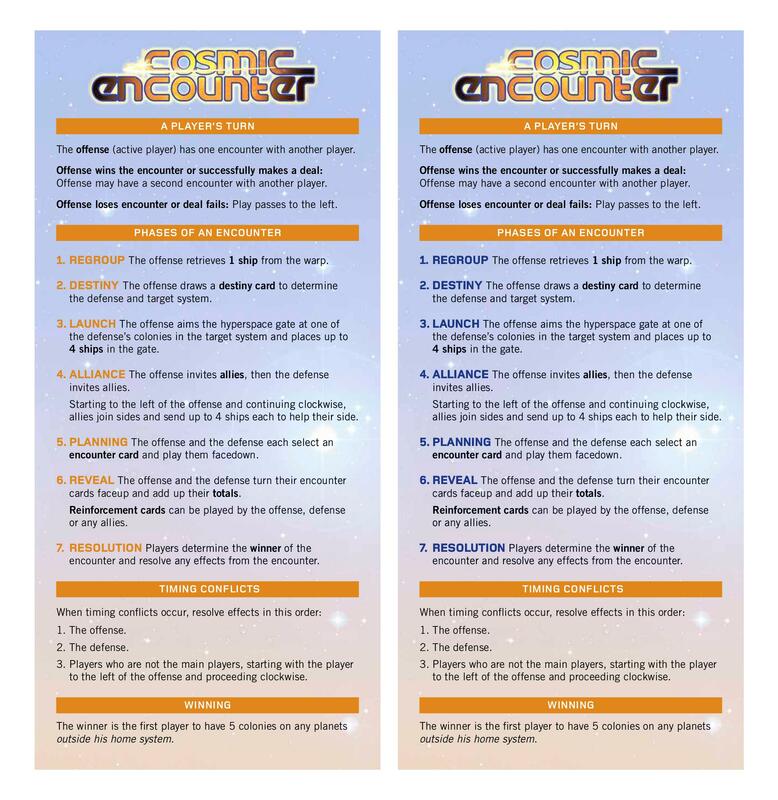 Players choose from dozens of alien races, each with its own unique power to further its efforts to build an empire. 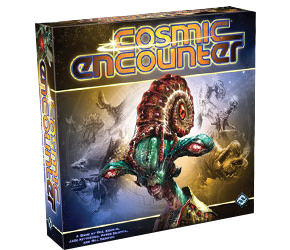 The Fantasy Flight remake of one of the first games I ever owned, the Eon edition of Cosmic Encounter. A classic game that mixes simple gameplay with lots of interesting special powers to make a highly interactive, fun game that puts many modern designs to shame. Simply a classic. Anyway, I thought you might want to make the change as well? Sure. I find the orange OK and these things often depend on your make of printer and type of paper etc, but I have no problems changing it if it makes it a bit clearer. Coming soon.